In a small apartment or a spacious homes serving tables sometimes appear indispensable helpers. 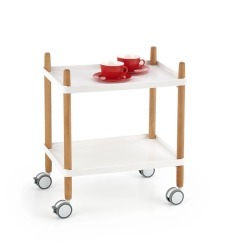 With this fashionable and simple piece of furniture can not only quickly organize snacks and drinks for the household or guests, but also to arrange it as an additional element of the interior. 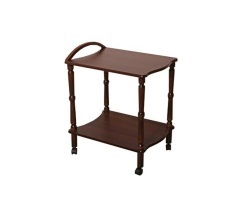 After a stylish serving table, among other things, is becoming a highlight of the whole design sophistication. Internet-shop "your furniture" provides considerable choice of bar tables from Polish manufacturers and Signai Halmar. Functional and comfortable models will bring you extra comfort and freedom in an hour of work or rest. Serving table, in addition to its direct purpose, can be used for a variety of cases, for example, set it on houseplants, figurines, clocks and many other. 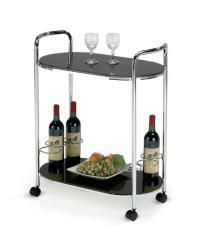 Serving tables on "your furniture" - a stylish bunk model on wheels with a comfortable and durable handles. Large selection of design options as well as the materials from which made ​​the products themselves, is on our pages. Of models presented there bar table B-112 from Signal has a very pleasant design and flexibility of forms. It is designed with glass and metal and has dimensions of 74 * 42 * 83 cm Bar-Bar table 4 of the manufacturer Halmar made ​​of wood and laminated MDF. 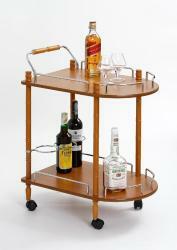 Classic beech color and style Bar-4 in combination with a practical size is great for home and office. 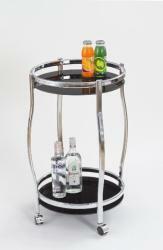 Original and slightly funny design bar table Barek B-125 at a glance makes smile. 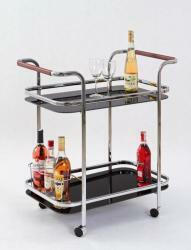 Made of metal and glass model, however, is able to give any party a pleasant and relaxed atmosphere. Polish manufacturer is responsible for Signal strength and quality Barek B-125. As you can see, kitchen tables can serve not only at parties and family gatherings. This multi-functional and useful anytime furnishings. Only your imagination should determine the most appropriate for their purpose. 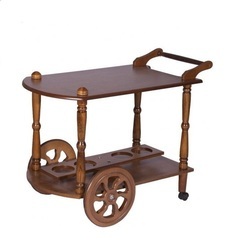 Buy serving table having original striking design, or stood in front of a more classic style, you can through the catalog of our online store. Your order will be shipped to any of the cities of Ukraine: Kherson, Lviv, Kiev, Sevastopol, Odessa and others. Contact us you can through the regional offices online store in Kharkov, Donetsk and Dnipropetrovsk.